The Senior Manager Telesales DE/A/CH (located in Dublin) is responsible for leading and inspiring the Merchant Telesales team to achieve new sales in the Small to Medium Business sectors in their market, portfolio growth and efficient cost of acquisition levels. The Senior Manager Telesales DE/A/CH will report to Head of Telesales who is also based in Dublin. The Senior Manager Telesales, will be an inspiring leader with solid sales experience, energy, self-motivation, stamina and enthusiasm. He/she will be responsible for creating and implementing robust processes across the telesales business that will drive success, efficiencies, improve profits and delight merchant customers. Provide leadership to Telesales Operations. This will involve developing and implementing the telesales strategy, methodology and operational roadmap for the next 3-5 years. Day to day management of the country specific Telesales unit. The Sales Manager is accountable for achieving the revenue targets and ensuring the Sales Teams meet all their performance objectives. Regularly review team reports and statistics and provide feedback to the team on how to optimize performance. Ensure that appropriate infrastructure is in place to support the achievement of these targets. Building and maintaining strong client relations. Frequent interaction with customers, inspiring confidence in the mission, product and services. Develop deep, effective stakeholder management with colleagues in Pan-European Merchant Services business (local country offices are responsible for selling to Large and Enterprise accounts) and across the wider organisation. Communicate regularly and effectively with the rest of the Merchant Operations business unit, fostering staff enthusiasm and support. Build, coach, develop and inspire team members to achieve both individual and operational goals. 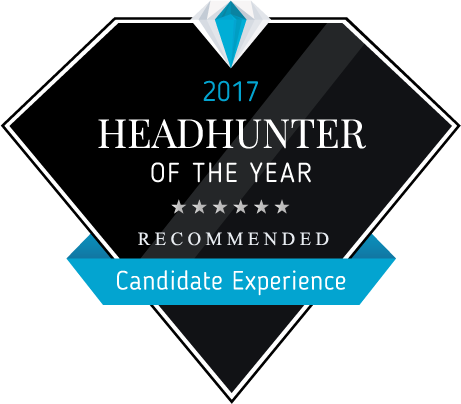 The successful candidate will have between 5 – 10 years' experience of senior leadership in B2B sales and relevant roles within a merchant services, financial services, customer/client services or ecommerce environment. He/she will be educated to degree level. A track record of successful leadership of multicultural sales teams (both small and large queues) of sales and customer service professionals from across diverse geographies. Proven experience of achieving new business targets, particularly in a payments, BTB or business services environment. A successful track record of building and developing robust client relationships. Strong leadership skills combined with the ability to think laterally and strategically and to develop and communicate a dynamic, energetic, success-driven vision to the team. High levels of energy, self motivation. Drive and enthusiasm that, combined with a good practical understanding of telesales and commercial issues, will ensure that the strategic vision is executed efficiently and effectively. Excellent communication skills. This will include the ability to network and communicate effectively across the organisations in Europe. Relationship management skills. The ability to develop and maintain first class relationships with a broad base of SMB clients at a senior level and to represent effectively in all external dealings. People development: the ability to be an effective mentor and coach to direct reports and to ensure that there are effective and robust people development practices in place across all levels. A proactive approach to the development and retention of talented team members. Fluency in German, English is required and at least one European language would be ideal.